When an artist depicts walleyes in their natural environment, their brush strokes often reveal an image of these sensational fish practically bellied to bottom while feasting on forage many fathoms below. After all, it’s at the lake floor in deep water they spend the majority of their time, right? Actually, it’s within this fish’s bottom-dwelling realm where ‘eyes linger very little. In fact, they’re here more when in a neutral mood, say, after a cold front, than when searching for food. This holds especially true as summer turns to fall. So where, instead, do walleyes wander when on the prowl this time of year? The answer is twofold, actually: As a rule, you’ll find walleyes suspended just below the surface over deep water haunts; particularly in areas near rock-strewn reefs or sunken islands. What’s the reason for swimming so close to this structure? Because when the mood arises, they can hightail it straight across the water column to hunt down prey. 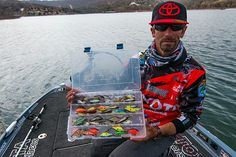 And although there’s a large array of tactics used to catch ‘eyes when they are on the rise, two techniques stand out from the tackle box: trolling at a creep with a crawler harnesses when the fish are still suspended, and snap jigging splits when fish are hanging tight to the rocks. 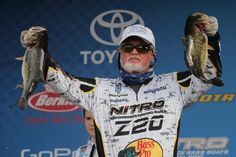 Enter fishing pro Mark Martin of Twin Lakes, Michigan. He’s been catching walleyes from waters for a living since the late 1980’s. He’s also seen trolling tactics morph from being an aimless pull of livebait rigs to narrowing down every nuance of a walleye’s whereabouts. “Speed, size and scent are crucial when it comes to catching walleyes when they are suspended,” says Martin. I’ll troll at various speeds until I get bit, and then make sure to stick to that pace. After that, I’ll start switching out blades, trying out different sizes and shapes to narrow the bite down more. Overall, Martin aims for speeds from .07 to 1.3 MPH when pulling harnesses behind in-line planer boards. And he’s adamant about keeping whatever tempo he’s been getting bit at, right down to the one-tenth of a mile-per-hour. It’s not uncommon to see Martin rummaging through Plano tackle totes in search of new blades about every half-hour. 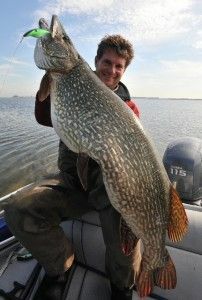 In general, you’ll find him using size-3 and -4 Colorado and Indiana blades when fishing inland lakes, and beefing things up to size-5 and 6- blades, and adding willows to the mix, on the Great Lakes and reservoirs where walleyes feed on larger shad. No stranger to targeting walleyes suspended high in the water column near reef complexes, tournament pro Mark Martin is seen here pulling crawler harnesses for ‘eyes from within the comfort of this Lund Pro-V.
Not long ago, this outdoor writer got the chance to see how Humminbird Side Imaging can make finding suspended fish and forage easier than ever. And it didn’t take long to become a believer after seeing (and catching) fish I would never have known were there without the groundbreaking technology. Fish don’t always show up on standard sonar when high in the water column, due to them spooking out from under the boat and the transducer’s range. Side Imaging, however, allows anglers to see fish and bait suspended just under the surface hundreds of feet to both sides in a two-dimensional illustration. And with just a couple button swipes, a GPS position can be placed over the area where the fish so your next pass can be on the ‘X’. Sonar and GPS are also a must when fishing for walleyes holding tight to reefs, especially when the unit’s coupled with a SD card filled with LakeMaster data. With this mapping technology, your boat can be positioned within casting distance to structure without running up on it and spooking fish. And this is exactly what De Pere, Wisconsin, fishing pro Steve Becker does; holding his boat in place with his trolling motor. One of Becker’s favorite ploys? Casting 4- and 5-inch split-tail minnows on top of reefs and rip-jigging them back to his boat. 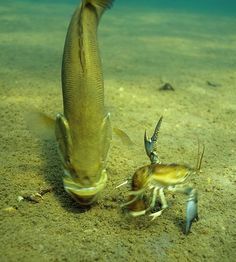 “Rip-jigging”, by the way, is the continuous swift lift and radical fall of a heavy jig while being rapidly retrieved to the boat; a technique that can trigger strikes from even the most lethargic fish. Close up of a 4-inch split-tail minnow rigged with a 5/8-ounce Custom Jigs & Spins H2O Precision Jig – the perfect ploy for snap-jigging atop reefs. “But even when using such an aggressive tactic, the light bite of a walleye can still go undetected; so you have to use equipment that telegraphs every little tick,” Becker beckons. Six- to 8-pound-test superline spooled onto a spinning reel that’s coupled to a 6-foot 8-inch, medium, extra-fast-action St. Croix Tournament Walleye Snap-Jig spinning rod is what you’ll find in Becker’s hand most often. “The superline matched with a super-sensitive St. Croix allows me to feel the lightest of strikes.” Becker adds. 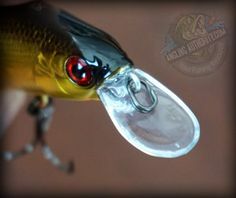 “Basically, I set the hook anytime I feel weight or the slightest bite. Overall, the narrow shape of Custom Jigs & Spins’ 5/8-ounce H2O Precision Jig goes perfectly with a spit-tail minnow. 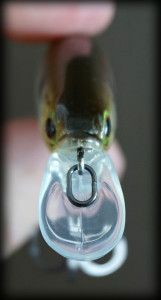 And the jig’s wide-gap hook yields premium penetration. Looking to land more walleyes this fall? Just look up! Pull crawler harnesses behind boards when fish are high, and snap-jig softbaits on nearby reefs and walleyes will fall…in your livewell.